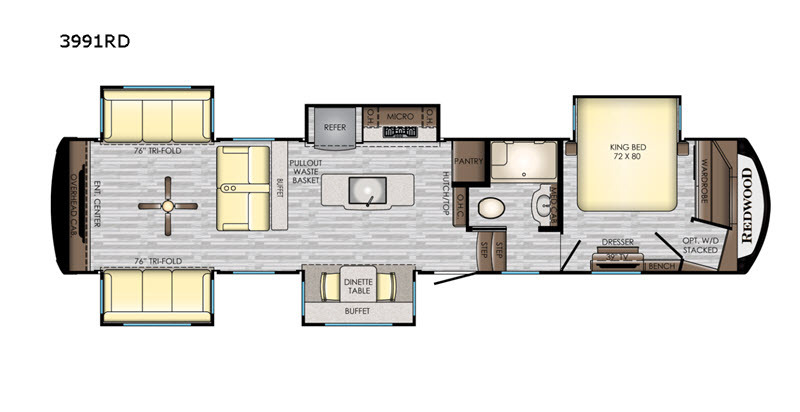 Redwood RV has set the bar to higher levels with their luxury fifth wheels. 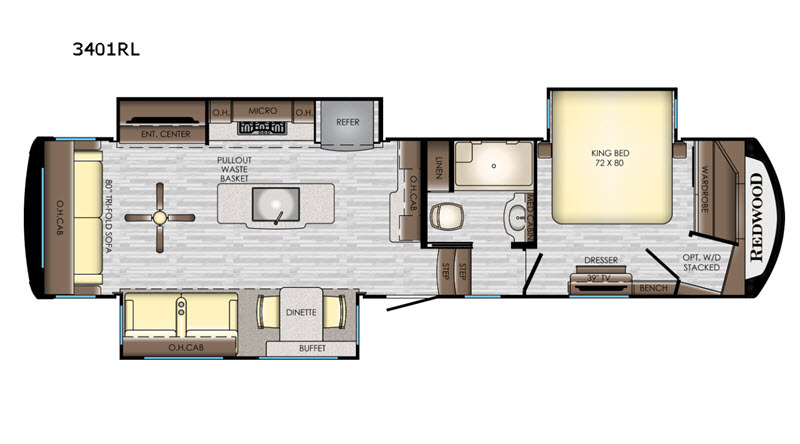 Each unit features an aerodynamic profile, solid hardwood cabinets, solid surface countertops, and many additional best in class features that will make you feel like royalty while you camp. 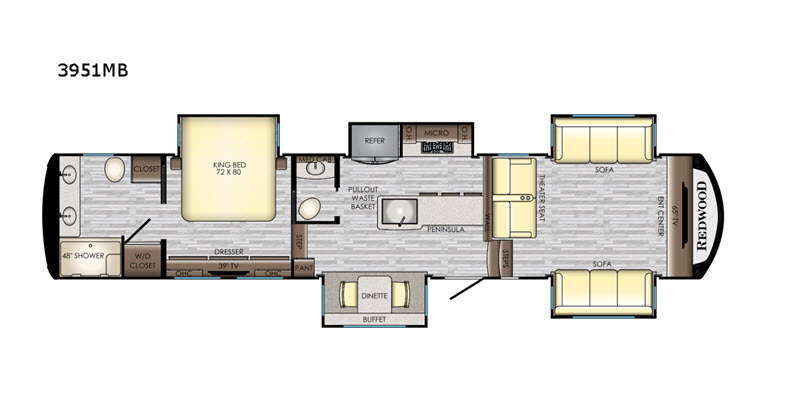 There is a residential feel throughout these fifth wheels, so whether you plan to camp for a weekend or use your model for full-time living, you will have the comforts of home at your fingertips. Each model is equipped with the IN-Command feature, which allows you to control your fifth wheel from any smart phone or tablet. Choose one of these luxury fifth wheels today and join the Redwood family! Redwood RV, the luxury division of Thor Industries Inc., located in Syracuse, Indiana focuses exclusively on building mid-priced, luxury fifth wheels designed for full time RV living. Redwood RV distributes its products through dealers across the United States and Canada. 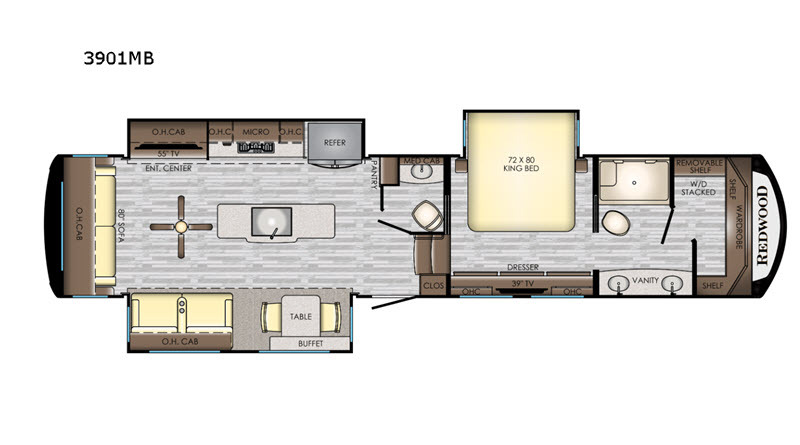 Redwood RV was created in 2010 for the main purpose of providing the exploding Baby Boomer market with a high quality, full-time, residential fifth wheel at an affordable price. Redwood has taken the needs and wants of its customers and created a fifth wheel that leads the RV industry in quality, innovation and value.